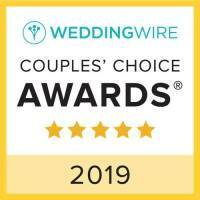 Read what our couples are saying about our services!! Javier is amazing! He accommodates to your likes but also knows how to read the room! He’s a fantastic DJ and brings the party! Couldn’t imagine anyone else being our DJ! He is kind and considerate! He has a contagious personality! He’s easy to work with and his website was convenient and easy to use! We love Javier and would use him 100 times over again!! My wedding was so beautiful and Javier’s services made it that much better! I loved my day! Javier went above and beyond for me and my panicked bride ways! 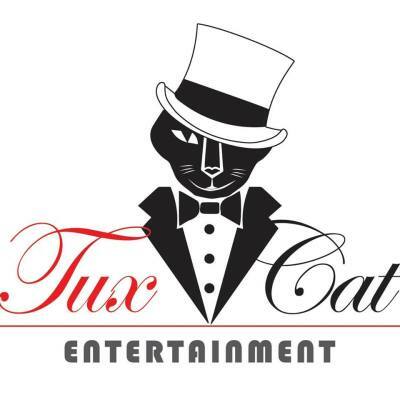 I would definitely recommend Tux Cat for anyone looking for a great DJ! When we had some hiccups in our schedule he easily adjusted to close the gaps! Thank you for making my day great! Javier was such a pleasure to work with. He helped us every step of the way. He is very knowledgeable, professional, compassionate and has a great sense of humor. He allowed the planning process to be easy and fun. He was also flexible with last minute changes on our wedding day. The online client portal was also excellent. Everyone loved the music at our wedding and we got so many compliments. It was such a great celebration and we danced at night long. We highly recommend Javier and Tux Cat Entertainment. Javier was wonderful to work with! being able to make selections on his online website made planning my Rochester wedding from Buffalo a breeze! He kept our wedding moving and grooving and his organizational skills were just what we needed! thanks again for helping make everything perfect for our special day! Would highly recommend Javier. Javier did a great job at our wedding. He was very understanding of our odd requests and did so much more than his DJ our wedding. Javier helped us put together a timeline for our wedding and also gave suggestions when we needed them for the timeline. He helped relieve a lot of the stress of planning with a quick meeting and a handful of texts and emails. Highly recommend! Javier was so friendly and easy to work with. He really took the time to get to know us and what we wanted for our special day. He was fun and kept the party going. Javier did an incredible job. He was always there to answer questions and even helped with the timeline for the day. We had a few last minute changes and he made everything flow together seamlessly. The dance floor was packed all night long and people cannot stop talking about what a great time they had. Javier's website was user friendly and extremely helpful in requesting songs and keeping track of everything. Throughout the entire wedding planning process I never once stressed about the DJ or music. I would highly recommend him to anyone looking for a DJ. Javier is amazing! He was a huge part of our day and made the party amazing!!! I hired Javier to DJ my reception & it was the best decision! Javier was friendly, accommodating and extremely helpful. From the beginning phases of planning to the night of, it was such a breeze. Javier would check in with us and few times throughout the night to see if we needed anything or had any requests, which was awesome. I would hire Javier 1000 times over again! Thank you Javier for such a fun night ... I never left the dance floor!! Javier you provide an extraordinary service with such thoughtfulness and kindness behind it, he is very personal. You made our day very special for us and we can't thank you enough. Your personality is the real standout and you helped and answered our questions and worries. Xoxoxo Thanks again Jake and Stacie. Javier is very attentive to detail! Gets back to you frequently and is always willing to help. He definitely knows the Dj business! Great value for the money. Javier did an amazing job at my wedding! He was very professional and did a great job providing information and communication every step of the way. Javier's talent and professionalism aided in making my wedding more than I could have asked for. I would recommend him a million times over! Javier was the best!! The energy in the room was amazing and we had the best time. The music was fantastic and he kept everyone moving all night. I highly recommend him! Javier was great! He was able to move outside to inside to outside again very smoothly. It started to sprinkle and he was able to keep the music going. My family loves to dance and they were very happy with Javier and all of the music he played. Javier was very easy to work with and made us think about little details we might have not thought about. We would highly recommend him. I hired Javier of Tux Cat Entertainment for my son's wedding this weekend. I was impressed from start to finish. He communicated with me exactly enough, he was affordable and stayed true to his original quote. He answered our questions, met with us twice, tweaked songs to customize them for us - some on short notice, was flexible when time/circumstances altered the order of things, was professional the entire time, and everyone had a lot of fun! He also had great suggestions when we were stuck on something. He definitely helped the entire event to be amazing! Highly recommend! Jon and I cannot begin to express how grateful we are for Javier! He is a phenomenal DJ who went above and beyond to help make our wedding day perfect. He helped set up our reception chairs without hesitation, was happily able to work with our quick day of changes, and checked in with us frequently throughout the night to make sure everything was running to plan. Our guests had a blast with him and the dance floor was packed all night! We are so happy Javier was there to celebrate our day! Javier did an awesome job!!! ​Book with him he did an excellent job!!! I wanted to thank you for being such an awesome DJ to have on our wedding! Every step leading up to the big day went smoothly and I was so happy with how everythng went during the wedding. I had so much fun on the dance floor. Fill out this form and tell us about your special event! We'll gladly discuss your options that will fit your budget and wishes to make your special day unforgettable for you and your guests!